arrow_backPrevious Nextarrow_forward 2019 UH Road Warriors-Pacific Northwest Adventure Tour-SOLD OUT! It’s football Saturday at Husky Stadium nestled high above Union Bay on Lake Washington. Its trademark cantilever metal roof structure traps in sound, making the venue known for being one of the loudest stadiums in the nation. It is described as the “Greatest Setting in College Football”. Our Pacific Northwest Adventure Tour begins in Portland, Oregon’s largest city. Whether you call it PDX, P-town, Stumptown, the City of Roses, Bridge City, or simply Portland, enjoy 2 nights and a complete free day in this vibrant city known for its eccentric locals, its dynamic downtown—resplendent with microbreweries, coffee shops, brunch spots, and book stores—and sweeping natural scenery that surrounds it, like the sparkling Willamette River and majestic Mount Hood. Our tour complete with a local tour director begins with a visit to Mount St. Helens. 57 people perished when it erupted on May 18, 1980, in an explosion bigger than 1500 atomic bombs. The cataclysm began with an earthquake that sparked the biggest landslide in recorded history and buried 230 sq. miles of forest under millions of tons of volcanic rock and ash. Our visit here today demonstrates how, over three decades on, nature has restored much life to the mountain, although the devastation wreaked by the explosion is still hauntingly evident. From here, off to Olympia, Washington State’s iconic state capital. Enjoy the evening exploring its downtown and beautiful setting on the Puget Sound. Our 2nd day includes Snoqualmie Falls, one of Washington state’s most popular scenic attractions, then onto Leavenworth, the “Bavarian Village” in the Cascade Mountains. We continue to Deception Falls where you’ll have a chance to walk an easy trail in this gorgeous forest to enjoy breathtaking views of the fall. Along the drive enjoy the beauty of Stevens Pass, a mountain pass through the Cascade Mountains. Once in Seattle, a quick photo stop at the Fremont Troll, a big, fearsome, car-crushing bruiser who took up residence under the north end of the Aurora bridge on Halloween 1990. Baggage fees are additional and payable directly to Hawaiian Airlines. Current fees are $30 for the 1st bag and $40 for 2nd bag. Additional bags are $100 each. Weigh limitation per bag is 50 lbs. Checked bag fees are a one-way fee. Starting from $2,195 per person quad occupancy (4 persons sharing existing bedding). Starting from $2,295 per person triple occupancy (3 persons sharing existing bedding). Starting from $3,595 single occupancy. 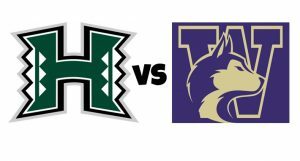 09/16/19 – Depart Seattle on Hawaiian Airlines flight 21 at 9:35 am and arrive Honolulu at 12:35 pm.